We treat every job like it’s our most important, but something extra comes out on school construction projects. Something about working on educational institutions as small as preschools or as large as military academies makes us reflect on why doing our best work matters. While we’ve done this hundreds of times across the country, we never lose sight of the great opportunity that comes with every project of this sort: You can learn a lot with open eyes, open ears and open minds. And when we apply what we learn, each new school construction project becomes our best yet. There’s no cookie-cutter way to build or expand a school—or at least there shouldn’t be. While processes and procedures that relate to these projects abound, they’re only effective when coupled with the insight that can only come through listening to those who will use an educational space generations after our crews pack it in. Incorporating state-of-the-art systems that save the school 45 percent on energy costs and reduce water usage by 30 percent. A strict timeline that included work while school was in session resulted in constant communication and coordination between school officials, subcontractors and The Korte Company. We finished the project ahead of schedule with no disruptions to learning. Read this case study to learn more about the communication and cooperation between The Korte Company and the school district. For more details about the project in general, view this study. Schools of all kinds are meant to give students a place to learn, think and create. We’ve learned that innovation breeds innovation, so we focus on innovative design and construction solutions for these important spaces. 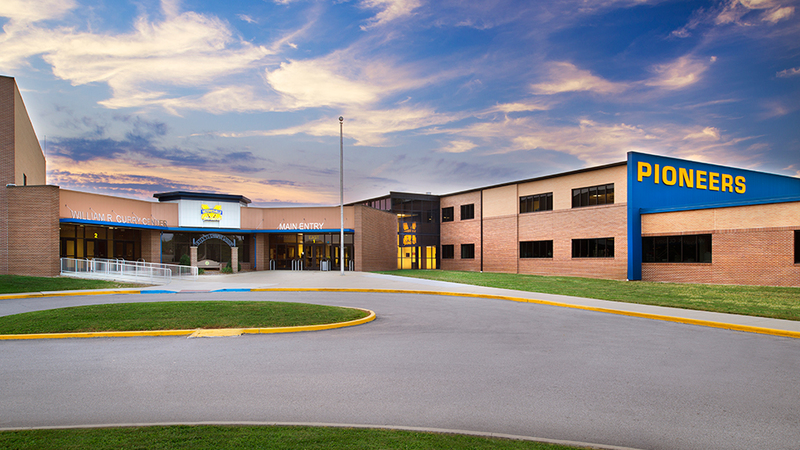 Innovation was crucial during construction of Edwardsville High School in Edwardsville, IL. The Korte Company replaced the original contractor, taking charge of a project that was behind schedule with costs threating to soar out of control. Instead of merely salvaging the project, we ended up winning awards for it. Innovation also solved a problem in Mooresville. Original hallways built decades ago to accommodate a much smaller student body began threatening student safety. Other contractors failed to design wider hallways that didn’t reduce classroom sizes. 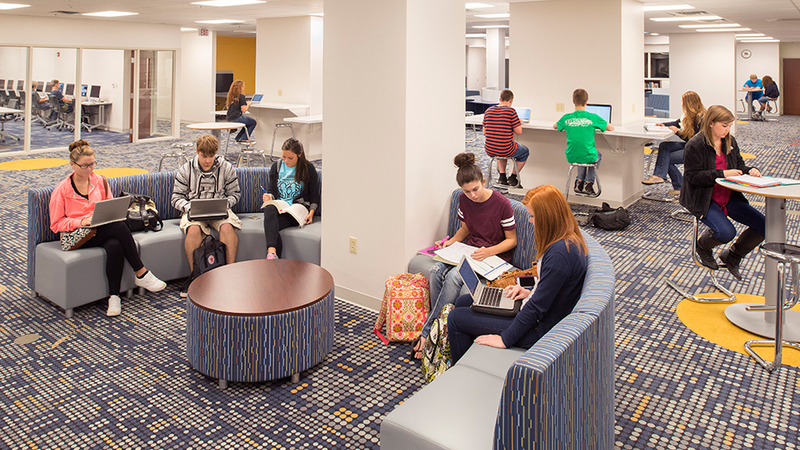 The Korte Company literally thought outside the box, connecting classrooms and other areas of the school via a concourse built around the outside of the school’s courtyard. Stakes are high on school construction projects due to the staggering amount of time and effort it takes to secure funding for them, especially for taxpayer-supported public schools. Keeping costs in check is vital when you’re working with such hard-won resources. For one example, when we were chosen to replace the original contractor to build the new Edwardsville High School, the first thing we did was assemble a committee that eventually found $5 million in cost savings and put a project that began behind schedule back on track. For another, the failure of a ballot initiative to increase taxes to build a new high school in Mooresville led to the alternative: Renovation and expansion of the existing facility on a seriously strict budget. With equal parts communication, coordination and old-fashioned grit, we finished the project weeks ahead of schedule while finding $663,000 in savings that the school redirected to improving student education. The Total Army School System (TASS) Training Center on Ft. Lee, VA.
An aircraft training facility at Naval Air Station Whidbey Island, WA. It’s tempting to think we have all the answers, especially after nearly 60 years in business and with thousands of projects completed across the U.S. We’re at the top of our game, but the secret isn’t that we know it all. It’s that we know we don’t, and we never will if we aren’t willing to learn on every single job. If you’re ready to discuss your upcoming school construction project, we’re ready to learn about it. Let’s talk.